We start by removing all the loose paint using hand scrapers and sandpapers. The idea here is to remove paint that is chipping and paint that may chip in the next 2-3 years. All work is done by manual hand tools. We take special care not to damage any corners or edges and maintain any lines and grooves. Once the sanding and scraping are complete, we use high power gas blowers to remove all sanding dust from the surface and surrounding areas. NOTE on lead-based paints: this type of cleanup applies to home build after 1978. 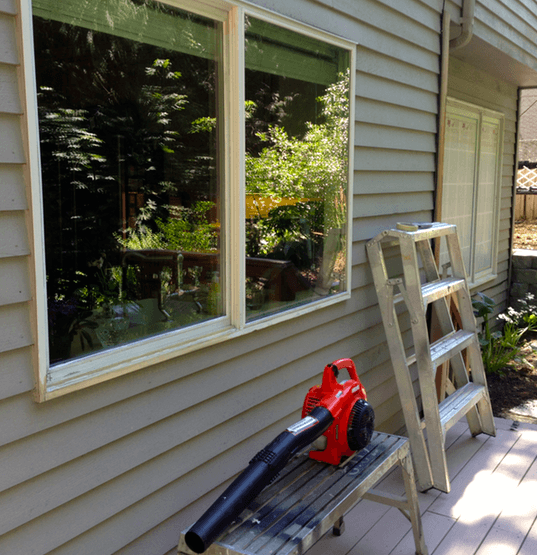 Once all the sanding dust is removed, we mask the glass and any surrounding areas that need to be protected from over-spray. 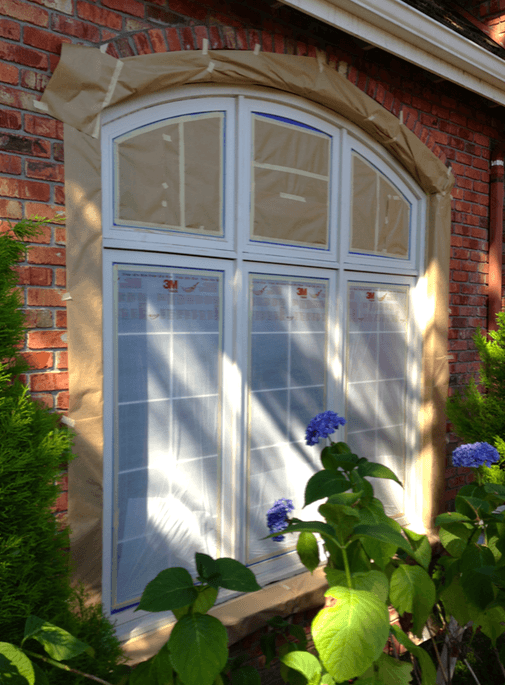 After masking, we primer the entire window with our premium quality exterior oil based primer. 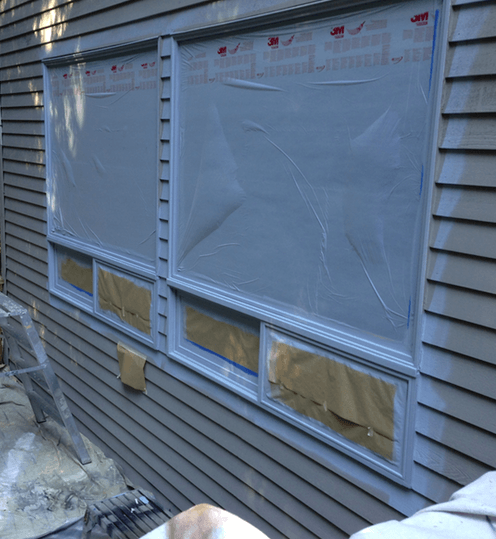 Window sash and any rough areas are back-brushed to force the primer into the surface. Once the primer is dry, we inspect all surfaces for any imperfections or roughness, and hand sand to improve our substrate. Similar to paint, caulking and other adhesives adhere better to primer than they do to bare wood or aged painted surfaces. 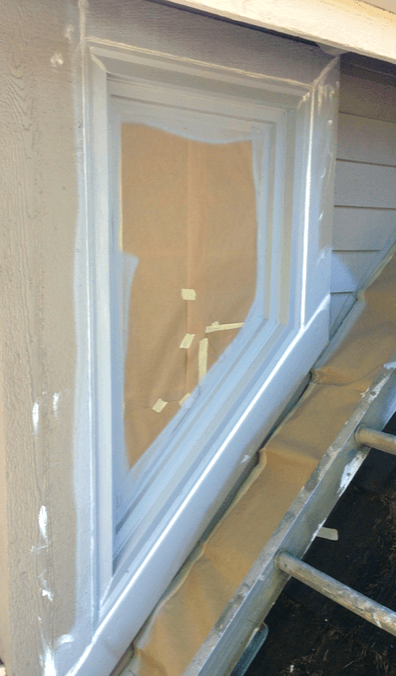 Caulking is always applied after primer application. 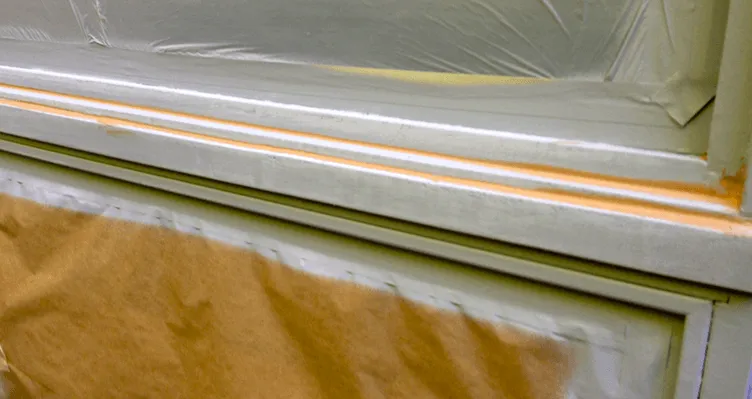 At this time, we perform a final inspection of the entire window surface to make sure there are no other imperfections; mail holes, cracks, gaps, etc. Paint is applied using fine finish airless spray tips to produce the most perfect, flawless finish possible. 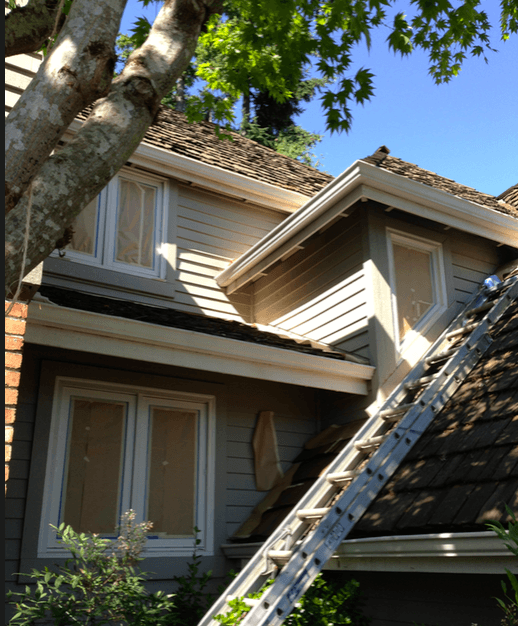 We always apply two coats and inspect, caulk, or sand as needed, in between coats. Spraying windows ensures they are not painted shut and gives us that “furniture finish” look that sets our work apart from other companies. 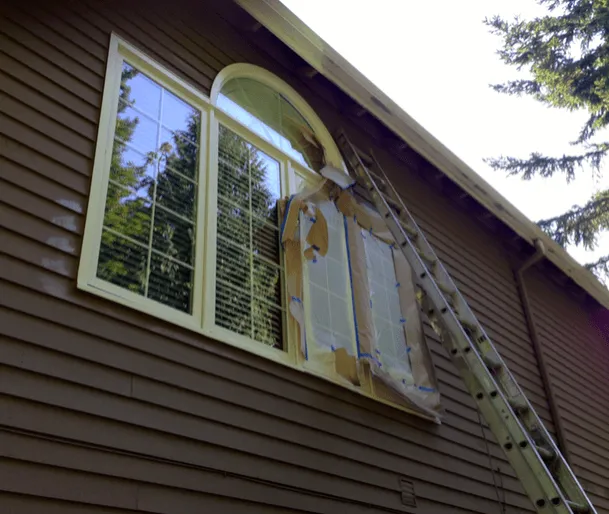 We highly recommend NOT painting any of the inside edges (parts of the window that are visible only when the window is open). 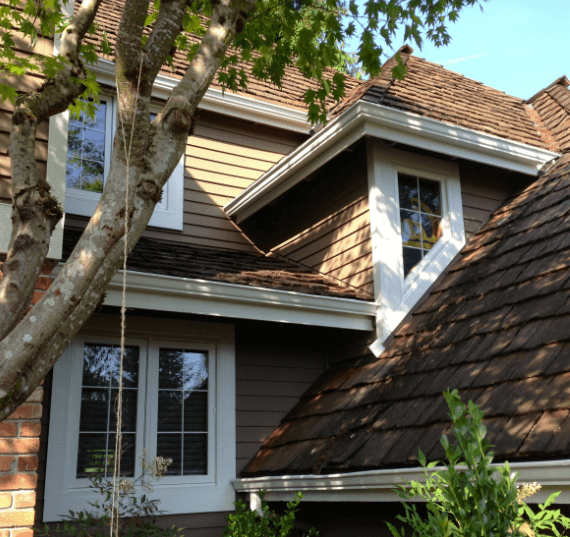 Most wood windows are constructed with stain-grain wood, which means these windows should have initially been stained and never painted. Adding layers of paint to inside edges may make them stick shut. 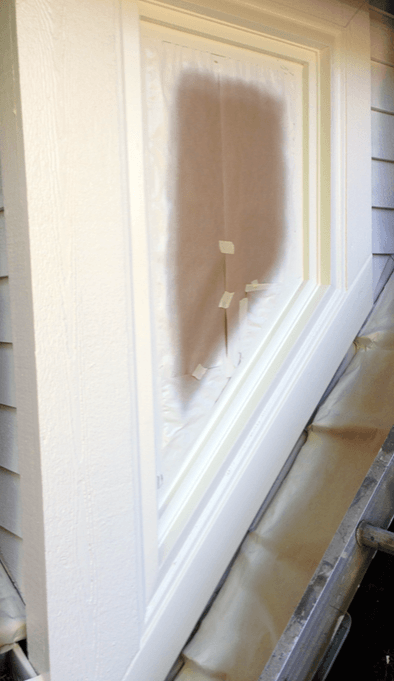 Even if windows are kept open for several days while paint dries, on a hot day 1-2 years down the road, the paint will soften, and the weather stripping will glue itself to the window frame.